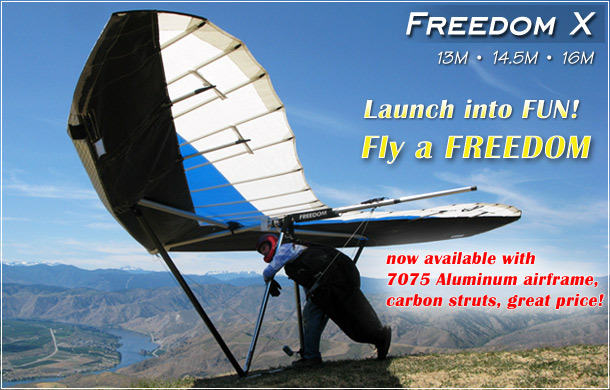 Freedom X Demo Flight Video Watch a very fun video of launching, soaring, and landing the Freedom X. 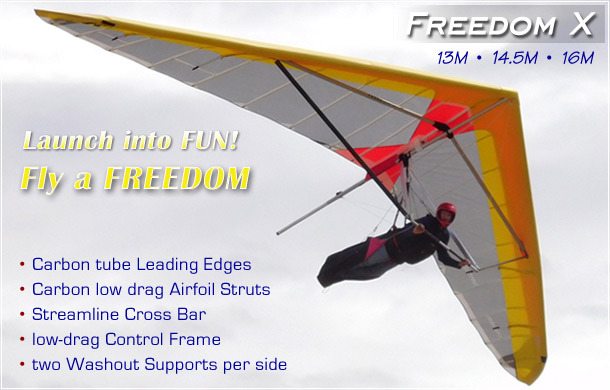 The Freedom X is a 39% double surface (exposed crossbar) no-top-rigging hang glider. 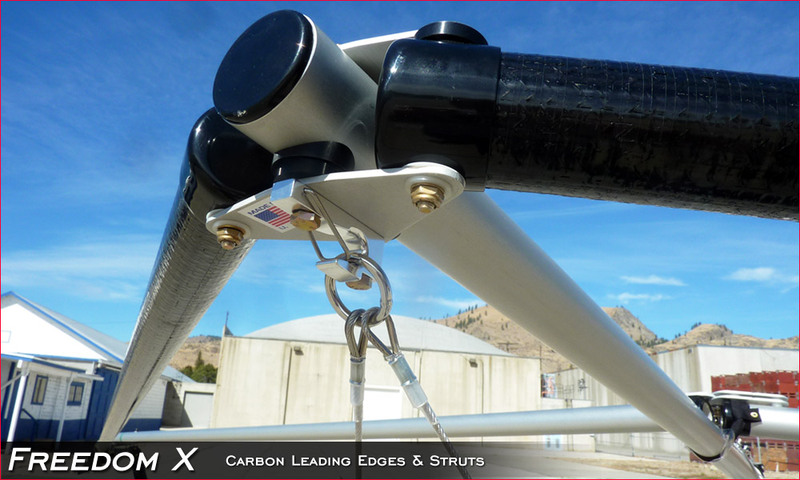 It features Carbon tube Leading Edges, Carbon low-drag airfoil Struts, low-drag Control Frame, Streamline Cross Bar and two Washout Supports per side for pitch stability. 3 sizes are now available! 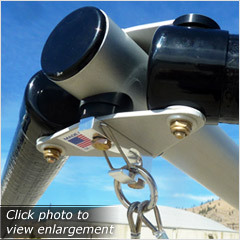 We believe it to be the finest exposed X-bar, strutted recreational flex wing in the market today. 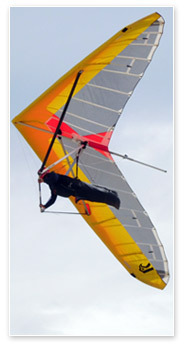 The FREEDOM X is an intermediate to advanced hang glider. 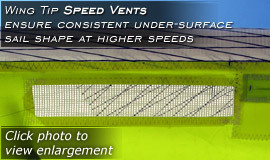 The Freedom X achieves exceptional low speed performance and superb handling for many reasons. 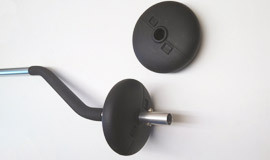 It's sail body and cut are composed of a carefully selected and applied, industry-proven design of the latest materials that are matched to the leading edge curve. 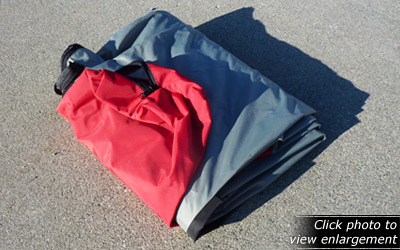 The sail features a leading edge pocket reinforced with a mylar insert sheet. 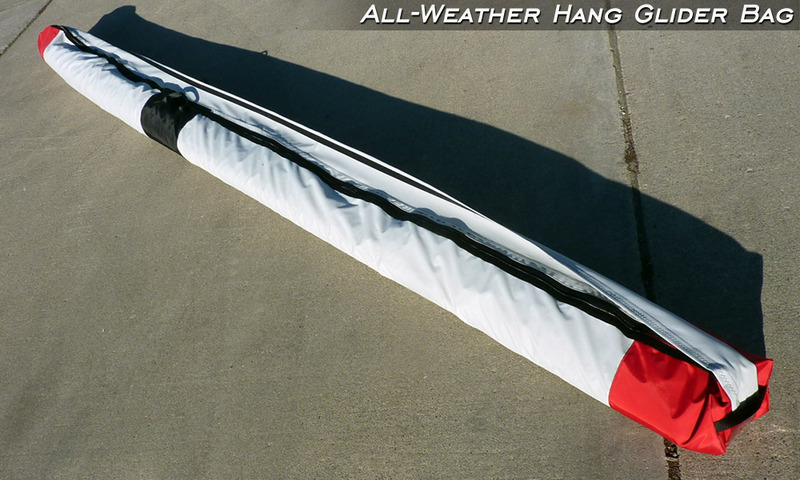 Drag is reduced and performance is increased with a highly refined sail, streamlined tubing, clean hardware and low twist. 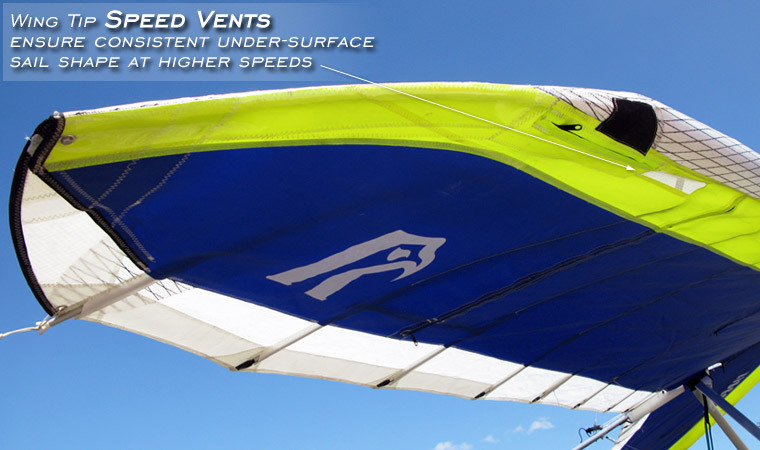 These features combine to ensure good usable flight performance and stability. 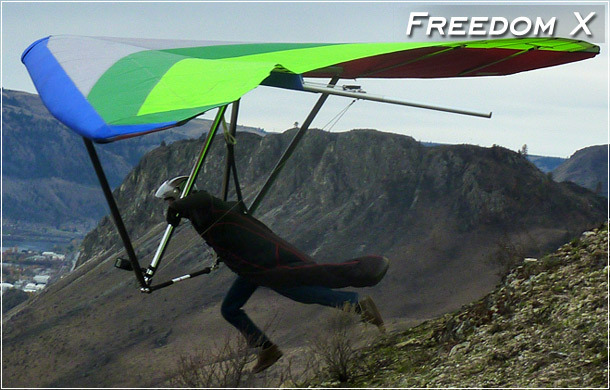 We believe the Freedom X to be one of the finest recreational flex-wing gliders available on the market today. 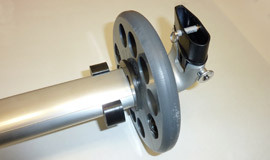 It achieves exceptional performance and very good handling for many reasons. 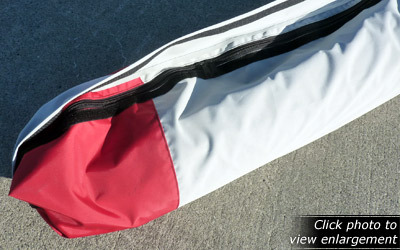 Our gliders have a sail cut that is carefully matched to the leading edge bend and precisely designed airfoil, floating crossbar and mylar-reinforced leading edge pockets. 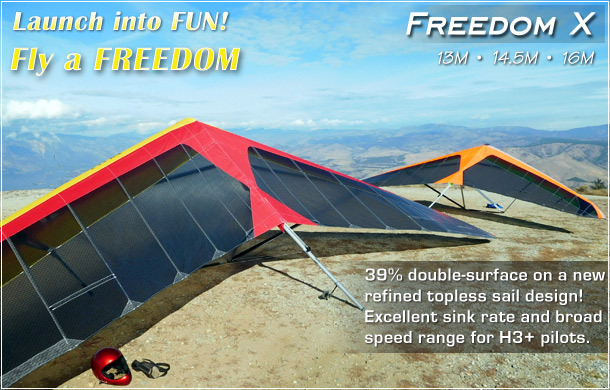 These features combine to ensure a good usable glide angle, an excellent sink rate, and a broad speed range making the Freedom X both an excellent intermediate soaring wing and a reliable cross country glider. 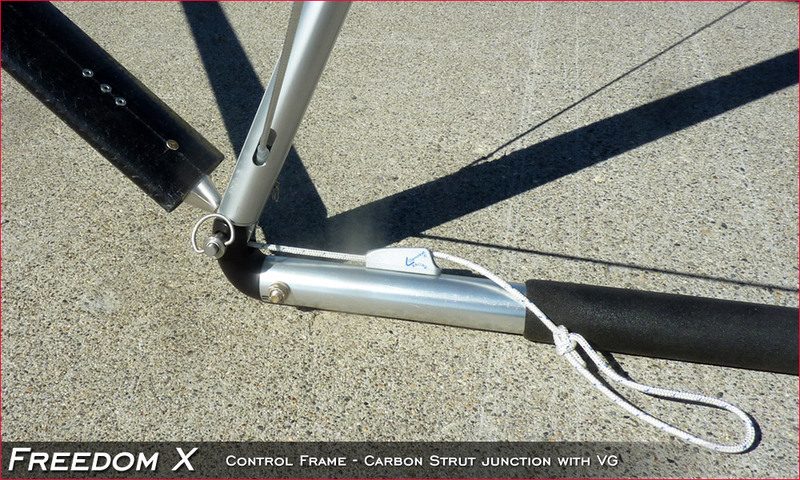 The new strutted Freedom X gives you the most positive and solid feel on launch... the feel of absolute control of your wing. 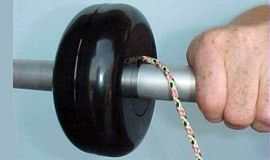 That translates to the air as well, giving you positive feed-back without delay from slack wires. 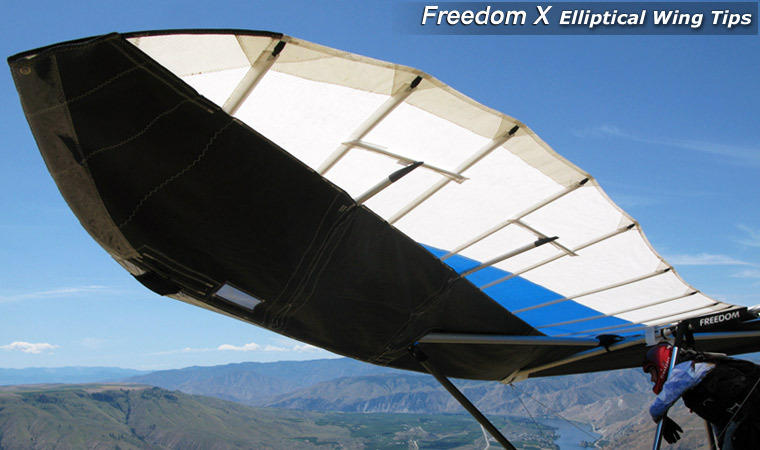 You will be amazed at the ease of handling the Freedom X will give you. 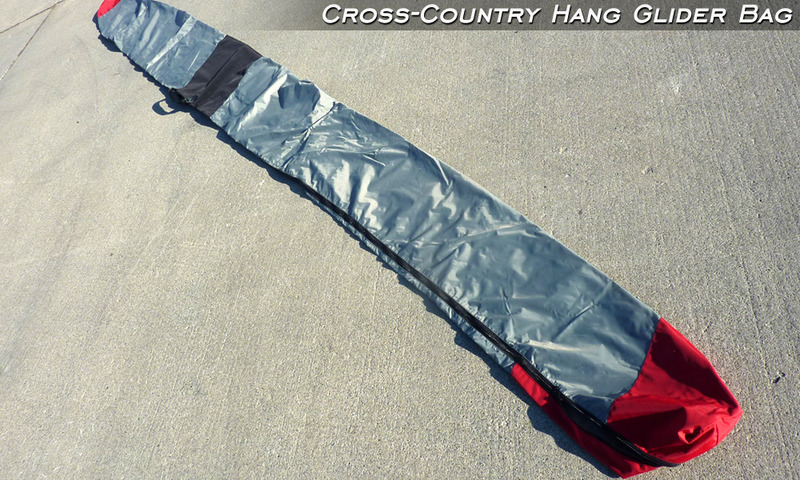 This will give you hours of enjoyable flying without fatigue when you come in for a landing. Landings!! Yes!! Finally a glider you can look forward to landing. 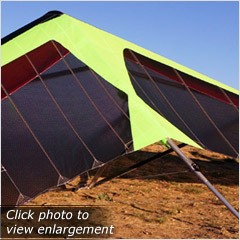 So easy to land with a large flare window, and the Freedom X wants to keep the nose up. 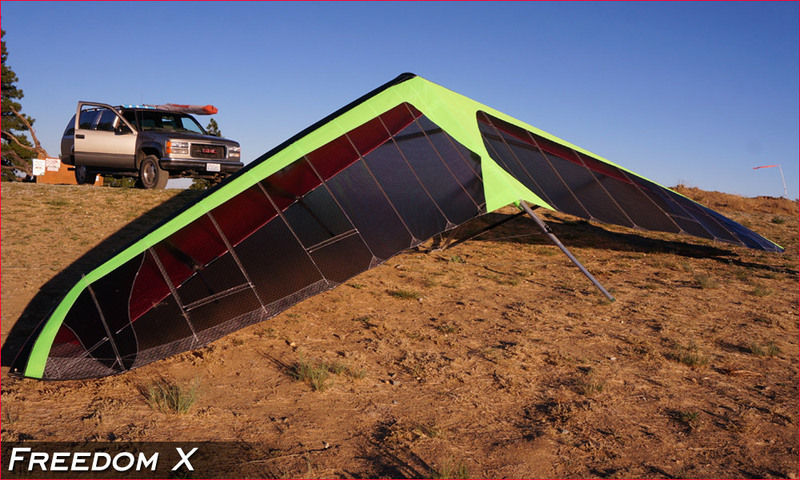 From launch to landing and 100 miles in between... or just flying with your friends locally, the Freedom X is a glider you can be proud to own. 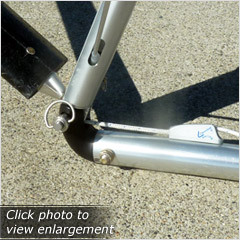 Click here to find a North Wing Dealer in your area. The highly-refined sail shaping on the Freedom X's elliptical tips ensures an efficient airfoil shape far into the curved tip! 37 mph through the pitch range of +25 degs down to -15 degrees.